Michael J. Fox was diagnosed with young-onset Parkinson’s disease at the age of 30 in 1991. A professional actor since the age of 15, Fox became a household name in the early 1980’s for his Emmy and Golden Globe Awards winning role as Alex P. Keaton in the NBC comedy series Family Ties in which he starred as the young Republican son of hippie parents. 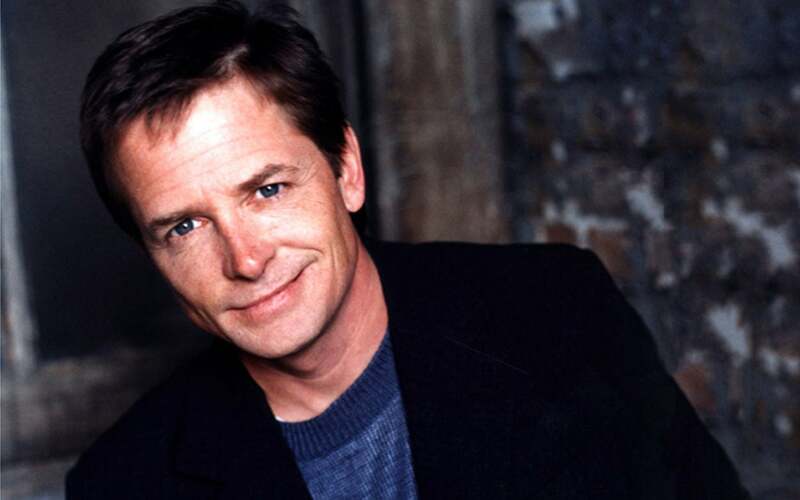 He starred in and produced the ABC series Spin City for which he also won Emmy and Golden Globe Awards. Fox is internationally renowned for his starring roles in films that included the Back to the Future trilogy, Doc Hollywood, Bright Lights, Cig City, Teen Wolf, For Love or Money and The American President. Fox also is the bestselling author of three books: Lucky Man, a New York Times and national bestselling memoir, A Funny Thing Happened on the Way to the Future, a compendium of wisdom for graduates, and Always Looking Up: The Adventures of an Incurable Optimist, which debuted at number two on the New York Times bestseller list. Fox semi-retired from acting in 2000 to concentrate on raising money and awareness for Parkinson’s disease. While he maintains committed to his acting and writing careers, his primary focus today is The Michael J. Fox Foundation for Parkinson’s Research. The Foundation’s goal is to accelerate the best ideas in Parkinson’s disease research toward clinical testing and practical relevance for patients. With a strong emphasis on translational and clinical research, it constantly builds on and refines understanding of the therapeutic needs of Parkinson’s patients. Fox is the recipient of several lifetime achievement awards for accomplishments in acting, including the 2011 Hörzu Magazine Golden Camera Award and the 2010 National Association of Broadcasters Distinguished Service Award. He has received honorary degrees from The Karolinska Institute in Sweden, New York University, Mount Sinai School of Medicine and the University of British Columbia. Numerous humanitarian awards include his appointment as an Officer of the Order of Canada in 2010. Fox wholeheartedly believes that with a concentrated effort from the Parkinson’s community, elected representatives in Washington, DC, and the general public, researchers can pinpoint the cause of Parkinson’s and uncover a cure within our lifetime. Fox is married to actress Tracy Pollan. Together they have four children.